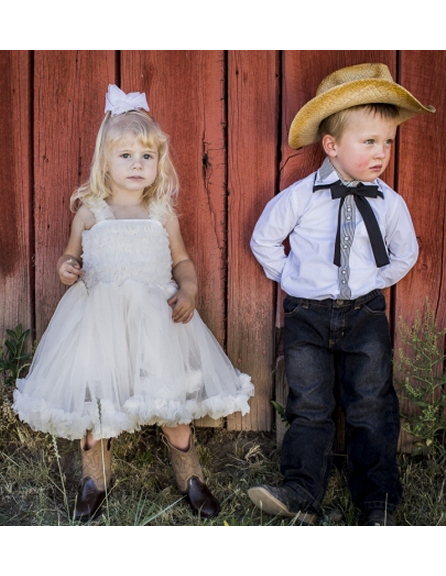 For your cowboy baby: His first cowboy boots! 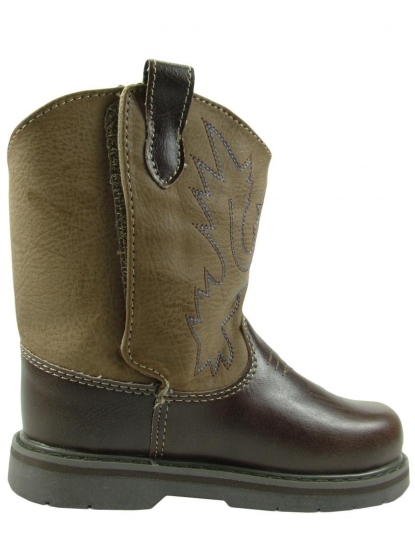 Rugged western cowboy boots in beige and brown with authentic looking old west trim detail. Non-slip hard rubber sole on all sizes. Made with the quality Baby Deer is known for. 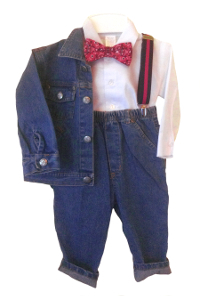 Sizes infant 2-5 have a Velcro side closure with a wide opening for wiggly feet. See pic below. 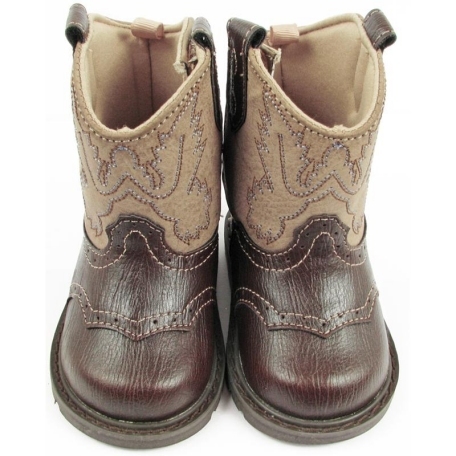 The infant size boots have a squarish rounded toe and the toddler sizes have a more pointed round toe.